Your color choice is quite significant and should match the general color scheme and other key elements in the room. You can coordinate the color with the flooring or walling. 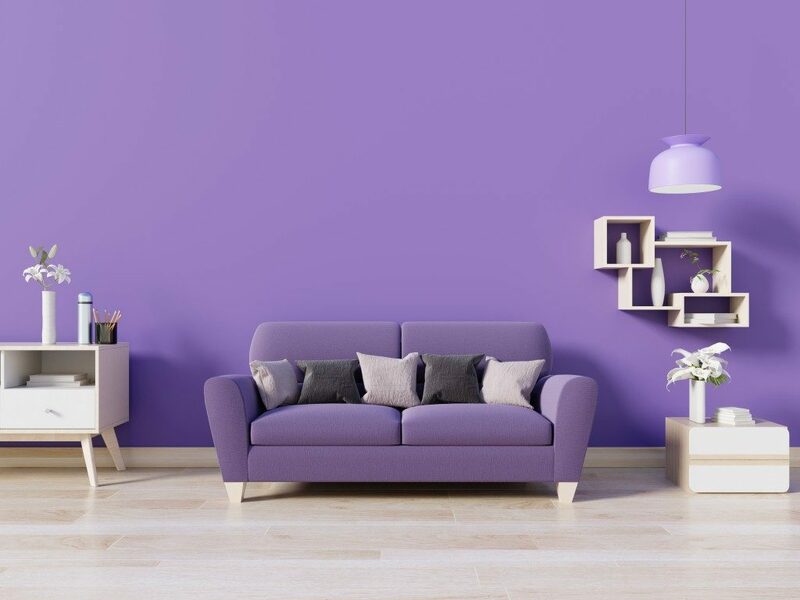 Having the sofa in the same color as the floor or wall will give you a seamless flow. Match the accent pillows with the rest of the furniture such as the coffee table and chairs. For coherence, coordinate colorful sofas with something within the room such as the window shades, cushions, or wall paintings. However, not everything has to match. Instead, you can incorporate the texture and patterns of your sofa to complement it or give the scheme a push with some throws pillows. Neutral colors help eliminate the noise and can still make your sofa the center of attraction when done right. Where you are looking to achieve a serene and relaxing look, opt for a simple color scheme. Featuring shades of gray, cream, beige, and brown will let your sofa stand out, albeit in a subtle way. Another way is to achieve the same effect by placing your couch against a contrasting background. Have a gray sofa in an area dominated by white rugs and walls for it to stand out. While doing interior décor, it is essential to choose a focal point, and your sofa is one of the options for this. Other than matching the color with different elements in the room, you can make your sofa stand out. This is best achieved by choosing a color that is complementary to shades used throughout the room. Where you are using a sofa with the main colors of the room, use a range of colors for the decorative cushions and accent pillows to make the sofa stand out. Natural lighting gives your home a vibrant feel while offering picturesque sightings. If your windows offer a magnificent view of the outside, consider incorporating the same in your interior décor. For instance, if your courtyard is visible through the windows, have your sofa or its other elements, such as accent pillows and decorative cushions, in the same shade of green. If yours is a beach house or a room with a view of the skyline, incorporate some blue hues that define the view. For your sofa to serve as a focal point, you have to coordinate its colors with those of the room décor. You can easily integrate different sofa colors into any space when you treat them as a part of your color scheme. Adding some accessories in the same color adds pops of the color and spreads it around, which helps balance the overall look of the room.